Is this portable entry in the Harvest Moon franchise a worthwhile eshop download? Let's find out! 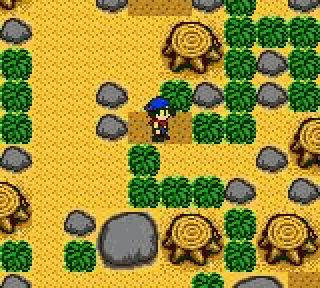 The story is very sandbox just like every Harvest Moon game and while the first portable entry in the series made a good attempt at recreating the feeling of the SNES classic, the lack of a relationship system that was pivotal in the original really hurts this game's score. 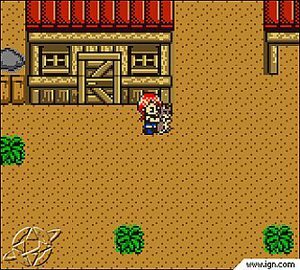 As for gameplay you can choose a character "either male or female" as well as a pet "a dog or cat" and start your life on the farm! The controls are simple and though it feels similar to the SNES title much of the mechanics have been simplified which in some cases is a good thing and others not so much, but the overall experience is rather enjoyable. 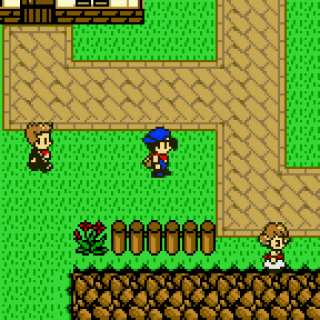 For a Gameboy Color game the graphics are astounding with close to SNES level graphics and a decent assortment of objects and character models it truly looks like the SNES version of the game and the soundtrack fits the game quite well! With a decent albeit simplified story, fun yet simple gameplay, gorgeous graphics, and fitting soundtrack we would recommend this title to fans of the sandbox genre! How many save files does this game have? I might download it along with River King. Excellent review, Rukiafan! I didn't pay attention, but I'll check later. Lovely review maybe I should download? Great review Rukiafan. I still gotta download this one. Think I will next month. Nice review, but I prefer the SNES game. Does anyone know if the sequel to this is available in the eShop? It's weird the Japanese VC has yet to receive a single Harvest Moon game (not even wii VC had the Super Famicom version) maybe theirs rights issues?